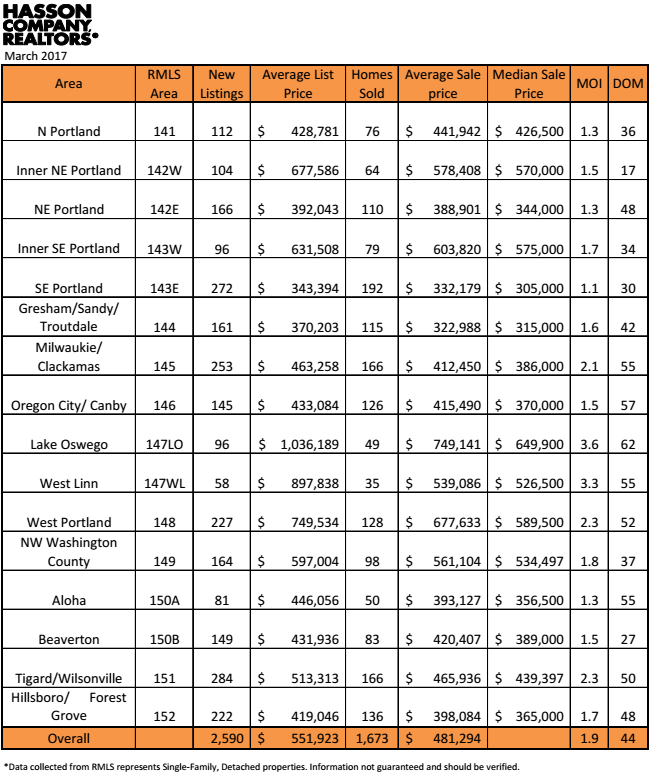 The average home sale price for the Portland Metropolitan area stayed fairly steady this March, climbing slightly to $481,294 from $478,554 in February. Nationally, the average sale price saw a slightly more significant increase than what we saw locally. February’s national average was $390,400 (up from January’s average of $355,300), which remains just under $100,000 less than what we are seeing in our markets. March’s national averages are not yet out, as the Hasson Company collects its own data to provide you with the most current and relevant market update each month. March saw a considerable increase in new listings (up 44.5%), homes sold (up 45.2%), and homes pending (up 30%) compared to February. The increase in new listings comes at a necessary time. According to the Associated Press, many people across the nation are in the market for a home this spring, but simply can’t find one. As a result, prices are being driven up and sellers are benefiting. Hopefully, the added inventory will help balance our local market. Comparing our local market to March of last year, the average sale price is up 5.6% and the number of new listings is up 5.1%. However, both the number of homes sold and the number of homes pending is down, 8.2% and 2.8% respectively. Home inventory stayed constant at 1.9 months. Our local inventory is still much lower than the national average of 3.4 months in February. 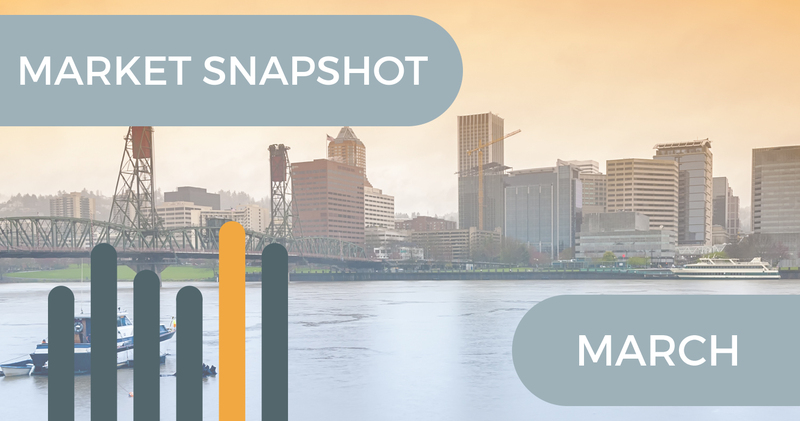 The Tigard and Wilsonville area took the lead in new listings at 284 this past month, but Southeast Portland sold the most homes in March (192) once again.